InuYasha & Kagome. . Wallpaper and background images in the 犬夜叉 club. I Love This Photo! Its Totallay A Fav. 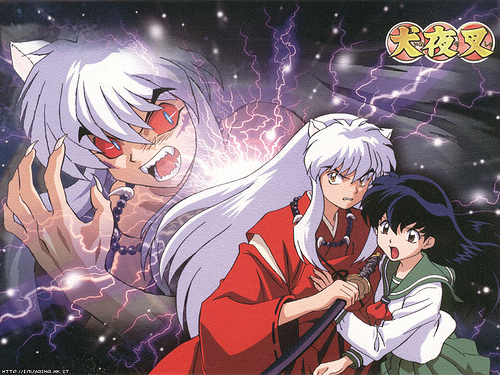 i don't so much like the pic in front..but i really like the pic in back where inuyasha is in his full-demon blood form...i just like how merciless he is when he's like that.